Generating Acronis System Report lets Acronis Support Engineers have a better insight into the issue you may be experiencing. Please collect the System Report from the machine requested (Agent machine, Management Server etc. ), only this way all necessary logs will be collected. 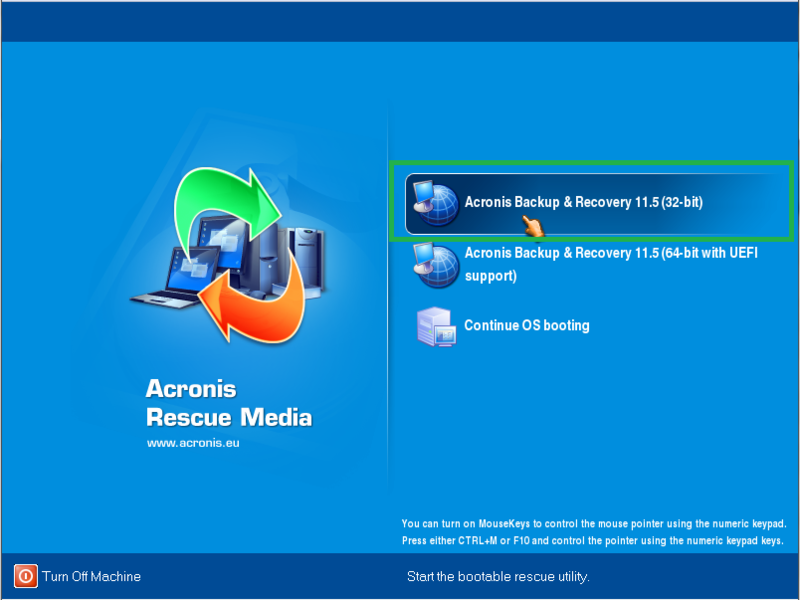 Acronis System Report may be generated in the software GUI or from Acronis Bootable Media. If report is generated on a machine with Acronis Management Server where MS SQL Express with Acronis databases is installed, it will also collect a backup of Acronis databases. Acronis Backup: start the software and proceed to step 3. 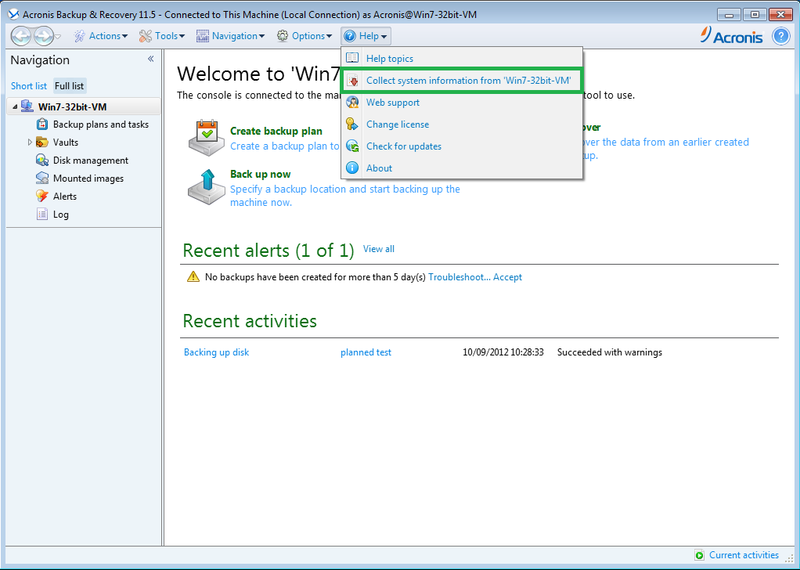 Acronis Backup Advanced: Connect to the Agent machine or to the Management Server: Connect -> Connect to Remote machine or Connect to AMS. This way you can connect to a machine, where an Agent for Windows, Agent for Hyper-V, Agent for VMware (Windows) is installed, to the Virtual Appliance or to the Management Server. (!) Acronis System Report is collected on the machine to which the Management Console is connected to: machine name is shown in Collect system information from... This way you can collect Acronis System Report on remote machines. (!) 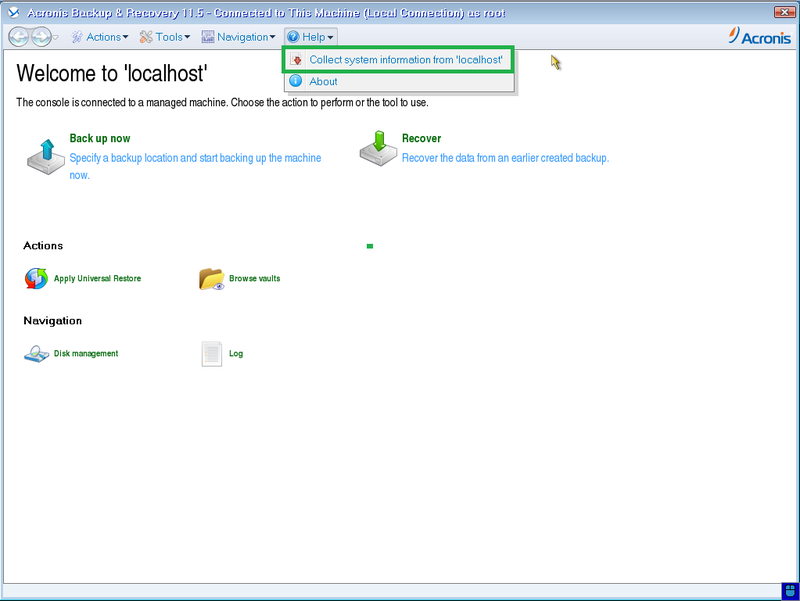 Local disks will show the local disks of the machine to which Acronis Management Console is connected: if you are connected to a remote machine, then disks of the remote machine will be shown. The report will be saved as SysinfoOutput.tar.bz2 in the location that you specify. 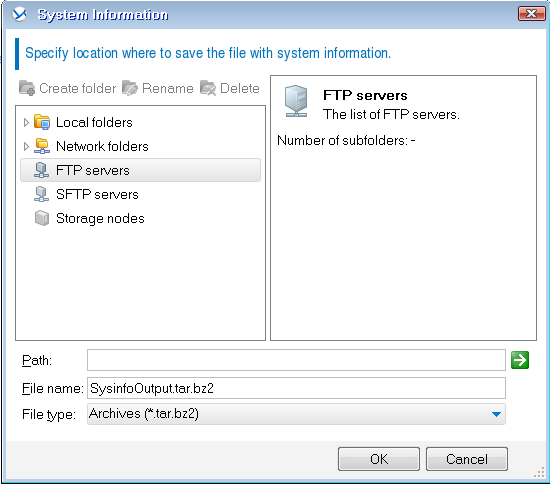 You can change the name of the file with system report, if needed. 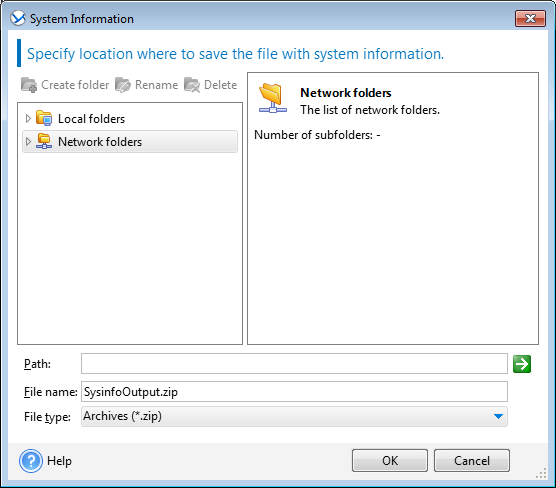 If you collect system information from several machines, it is recommended to save reports under different names. If you do not have the product installed or cannot collect the system report in the product GUI, please create the system report as described in AcronisInfo Utility.